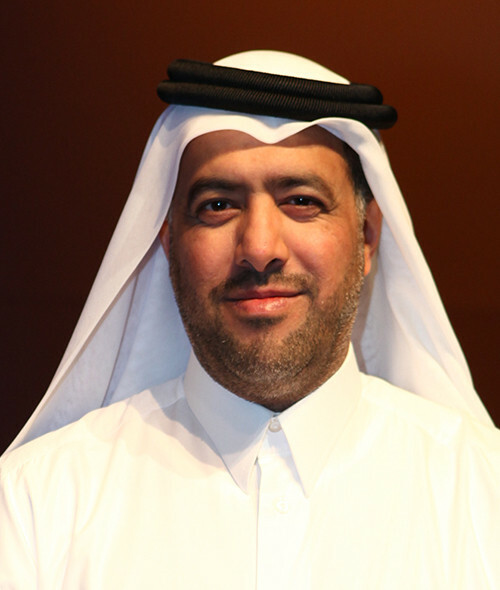 Mr. Ghanim Bin Saad Al Saad is acknowledged as one of Qatar’s most prominent business leaders today. His Ghanim Bin Saad Al Saad Holdings (GSSG) is one of Qatar’s fastest-growing businesses, spearheading the expansion of the private sector in the country. In addition, his role as Personal Adviser to the Prime Minister of Qatar, Sheikh Hamad Bin Jassim Al-Thani, has seen Ghanim advice on some of Qatar’s most celebrated acquisitions in the UK and Europe, Russia and South America. These have earned Ghanim an international reputation for identifying some of Qatar’s Sovereign Fund’s shrewdest investments. A highly successful early career path saw Ghanim appointed as a Director at the Ministry of Cabinet Affairs in Qatar in 1998, after working at the Ministry of Justice and for the Supreme Council for Planning. At the same time, Ghanim founded his first business venture, The Jersey Group, which later became the foundation for GSSG Holdings. Now with over 30 companies worldwide, GSSG operates in diversified sectors such as real estate, financial investment, aviation, automobiles, marinas, contracting, manufacturing, engineering, information technology, hospitality, fashion, fitness, and education. Ghanim is also Chairman and Managing Director for several of Qatar’s most significant corporations. In 2005, the Qatari Government appointed Ghanim Al Saad as the Chairman and Managing Director of Barwa Real Estate, 45% owned by the Qatari Government and the largest real estate stock on the Qatar Exchange with current assets of QR 65bn (US$ 17.9bn). Then in 2009, Ghanim was appointed as Managing Director and member of the Board of Directors of Qatari Diar Real-Estate Investment Company, the wholly owned real estate investment arm of the Qatar Investment Authority and the Government of Qatar capitalized at US$1 billion. Other Chairmanships include that of Qatar Charity, a cause dear to his heart; Al-Imtiaz Investment Company in Kuwait; and of GSSG Holdings, his own private group, in which he also chairs two companies that are part of GSSG, the educational Taalum Group and RizonJet aviation. Ghanim Al Saad holds a BA in Social Sciences from Qatar University, a Master’s Degree in Social Policy & Administration from Kent University, UK and a Ph.D. from Greenwich University, London. His driving passions lie in serving the community by providing state of the art education for all and in charitable and humanitarian philanthropy, both at home in Qatar and for disaster-hit areas around the world.